Through an iterative process with the homeowner and builder, this initial rehab of a single family quickly turned into a new ground-up home located in the heart of Chestnut Hill. 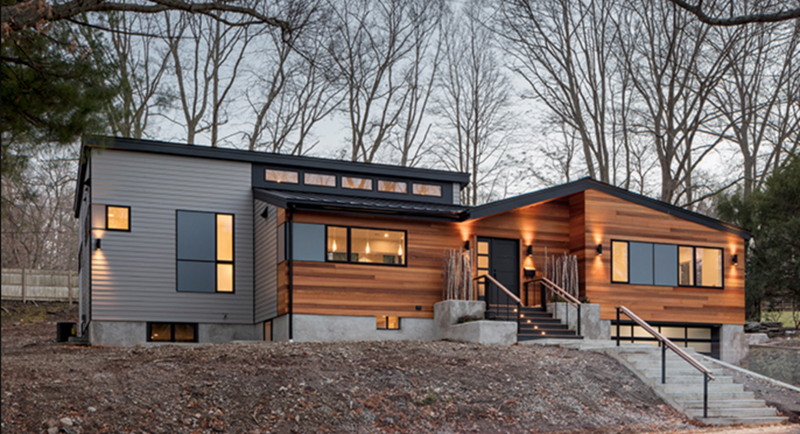 The homeowner played an active role in the design and execution of this new modern single family. Design elements such as clearstory windows, sweeping roof planes and soaring ceiling heights really help to create an inviting space for the family to dwell in.